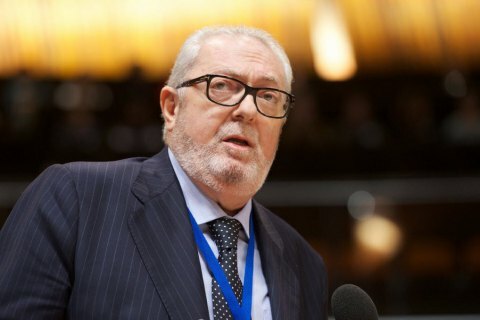 Former President of the Parliamentary Assembly of the Council of Europe (PACE) Pedro Agramunt has withdrawn from the Assembly after his deprivation of the rights of the Assembly's member for 10 years. Volodymyr Ariev, the Chairman of the Verkhovna Rada Delegation to PACE claimed this on Facebook. 'Former pro-Russian PACE President Pedro Agramunt completely withdrew from the PACE as the 10-year sanction were imposed against him for the violation of the behavior code', Ariev wrote. In October 2017 Agramunt voluntary resigned. As it was reported earlier, the lawmakers passed the no-confidence motion against Pedro Agramunt due to his cooperation with Russia and visit to Syria. Due to the incident, the PACE Bureau decreed that Agramunt had no right to make any official visits, attend sessions or utter any public declarations on behalf of the Assembly as its President. Agramunt himself said it was Ukraine’s initiative to launch a campaign in order to dismiss him. In his statement, Agramunt also said that the new rules adopted by the PACE regarding the procedure for his resignation are "illegal and dishonest".